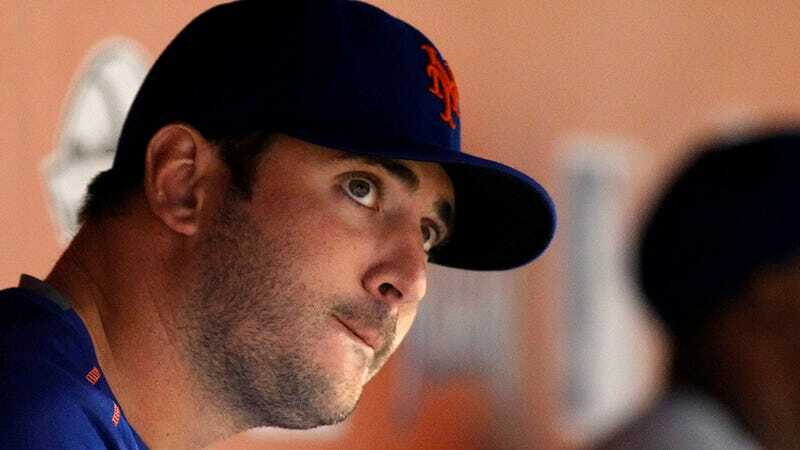 Matt Harvey: "I Will Pitch In The Playoffs"
Matt Harvey will pitch for the Mets in an expected playoff run, according to an essay published under the hurler’s name at Player’s Tribune. Together, we are coming up with a plan to reach an innings limit during the season. It will be a compromise between the doctors and the Mets organization to get me, and the team, to where we need to be for our postseason run. I understand the risks. I am also fully aware of the opportunity the Mets have this postseason. Winning the division and getting to the playoffs is our goal. Once we are there, I will be there.